Have you been injured in an incident where it was not your fault? Do not deal with it alone. You should not attempt to battle any insurance company and other powerful corporations without serious legal representation. 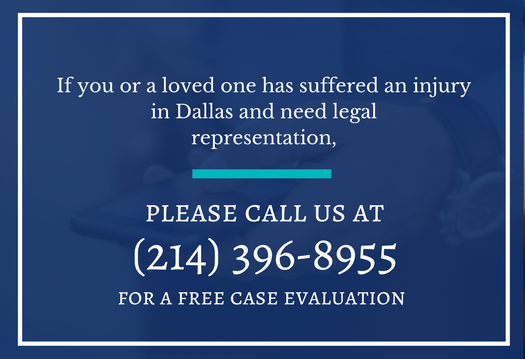 Turn to a proven Dallas Personal Injury Attorney for aggressive legal backup. Over the years The Price Law Firm has represented many injury victims; all with a unique circumstance and fought hard on their behalf. The Price Law Firm has recovered over $50 Million dollars on behalf of our clients. Our lawyers are fully prepared with years of experience, to handle the most complex of legal matters. Whether you have been in a car accident or have been a victim of a defective drug or suffered some other catastrophic injury, our dedicated and insightful attorneys are ready to back you up in court. If you have been a victim by someone else’s negligence, we are here to serve and protect you. Our skilled team is backed by decades of trial experience and takes great pride in truly understanding the nuances of personal injury law. Every time we take on a new case, our focus is to go after the optimum recovery that our clients deserve. Our lawyers are very passionate about standing up for the rights of the injured. We are proud to champion their cause and keep your best interests in mind while fighting for you! Our compassionate lawyers are highly skilled in their legal abilities, capable of handling any type of personal injury claims. Speak with a Dallas personal injury lawyer BEFORE talking to your insurance company. WHAT MAKES THE PRICE LAW FIRM OF TEXAS DIFFERENT? We treat our clients like our family. We don’t just settle, we will go to trial. We always pursue maximum recovery for our clients. You stay involved in every stage of your case. to schedule a free case evaluation.